There’s an ancient saying: “One can never have too much toy storage”. Ok, I may have taken some poetic license there, but it’s so true it should be an adage. Here are some beautiful, natural-look options that make toy storage look effortlessly stylish. 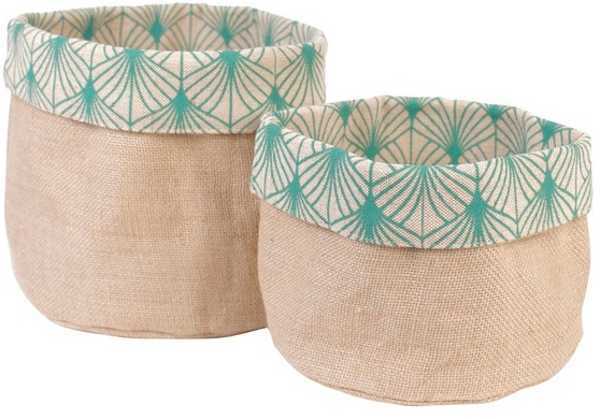 With their hessian and jute exteriors, the storage buckets from The Dharma Door have that relaxed feel, but their bright interiors slightly betray their natural outer – making them perfect for a child’s space. And this Australian company uses highly skilled Fair Trade artisans and quality materials to create these stunning storage pieces. 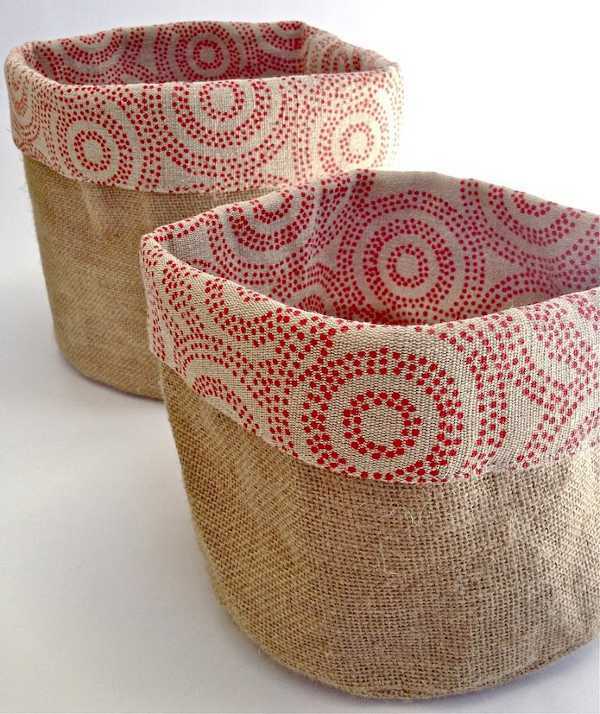 If you can resist the urge to use these beauties as planter buckets, they’re perfect for toys. 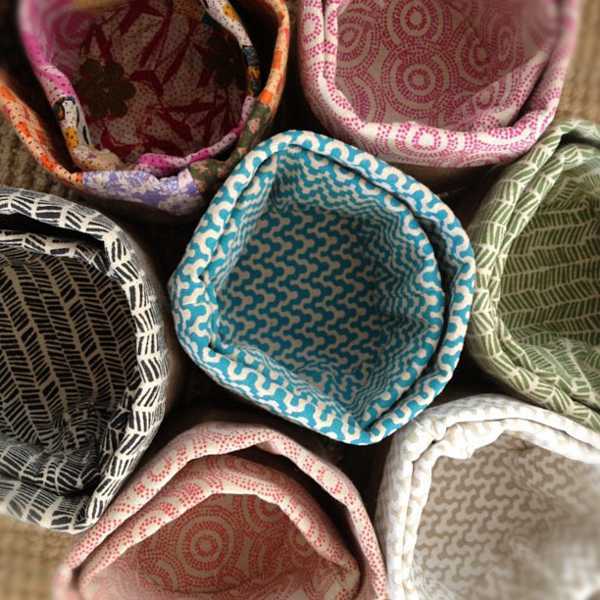 The Hessian Buckets come in a twin pack, and are lined with original, hand-printed fabrics or recycled kantha-stitched sari fabric. One is slightly smaller than the other, with the larger measuring 25cm x 20cm. The duo packs are $57. 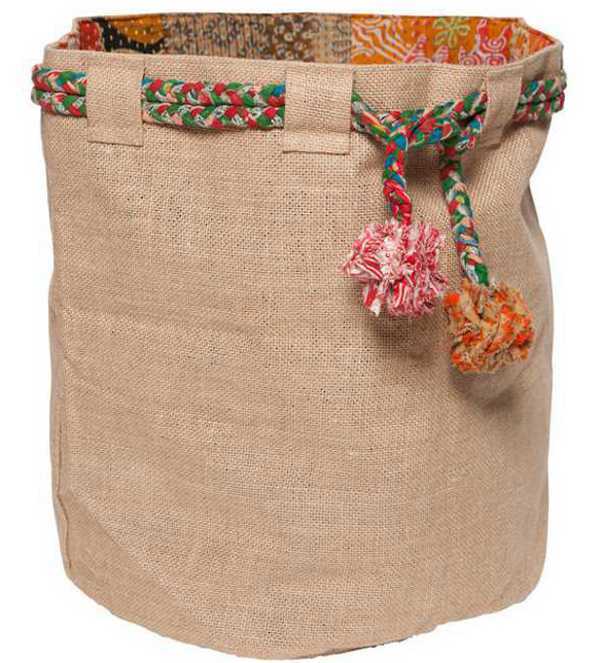 The massive Hessian Sack is also a great one for storage, and the pom poms are adorable. They’re priced at $79 each. 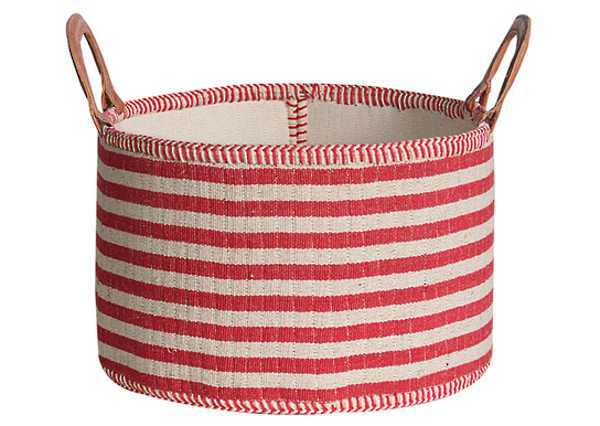 These short baskets with leather handles are great for storing toys that you may need to carry into another room, and kids can easily reach anything at the bottom. They’re $125. 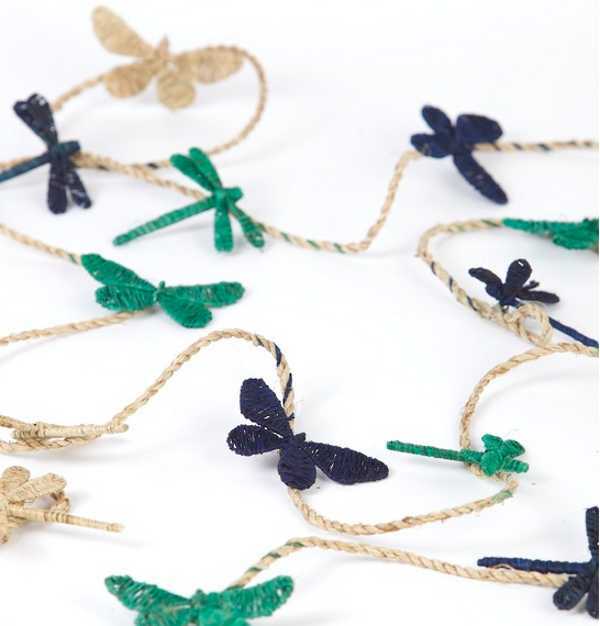 All of these baskets are available from The Dharma Door, where you can also snap up some beautiful jute decorations to suit nurseries and children’s rooms, like dragonfly garlands ($25) and natural cotton bunting for $35.